After a bit of a baking drought over this prolonged period of sweltering weather, I'm back on it like the proverbial car bonnet. This week my new Nordic Ware Jubilee tin arrived, and was accompanied by much giddiness, frivolity and general behaviour which one day will see me living on a ward. I wanted something summery, light and fruity to go in this beautiful tin, but it also had to be a sturdy mix which would pick up the beautiful design. 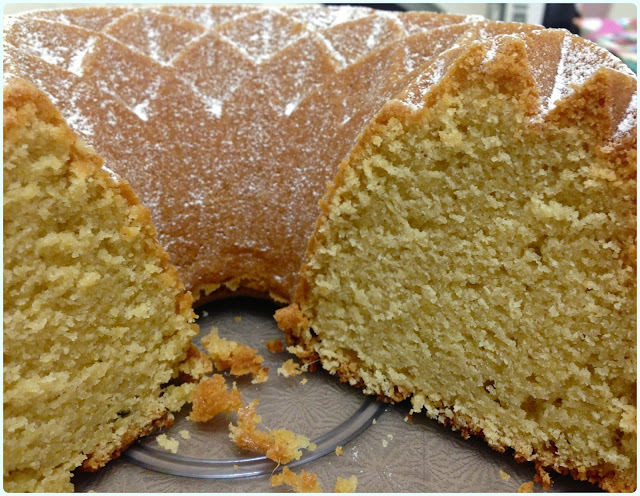 Although this can be made in any bundt tin, it worked particularly well in the Jubilee. It's such a pretty design, I wanted to show it off. From some angles it looks like it's covered in diamonds, from above it's like a Spirograph design, and from the front you can see pretty hearts. I took this cake into work today for my tame tribe of guinea pigs. Resounding success. A lovely bouncy texture with subtle tropical flavours, which are given a boost every couple of bites by the addition of the mango and passionfruit compote. Grease and flour a regular sized bundt tin - 2.4l, 10 cup, 10 inch. I used the Nordic Ware Jubilee tin. Pour the yoghurt and compote into a jug and mix. Sift in a third of the flour mix followed by half the yoghurt. Repeat this until everything is combined. Don't over mix. Pour the mix into the prepared tin. Roll around until the batter reaches every little crevice! Bake in the centre of the oven for about 1 hour 15 minutes or until a skewer comes out clean. It should be shrinking from the sides of the tin slightly. Leave the cake to cool for 10 minutes, then remove from the tin. You'll be surprised how easily it comes out! Serve either plain or with a dredging of icing sugar. That is an amazing tin! 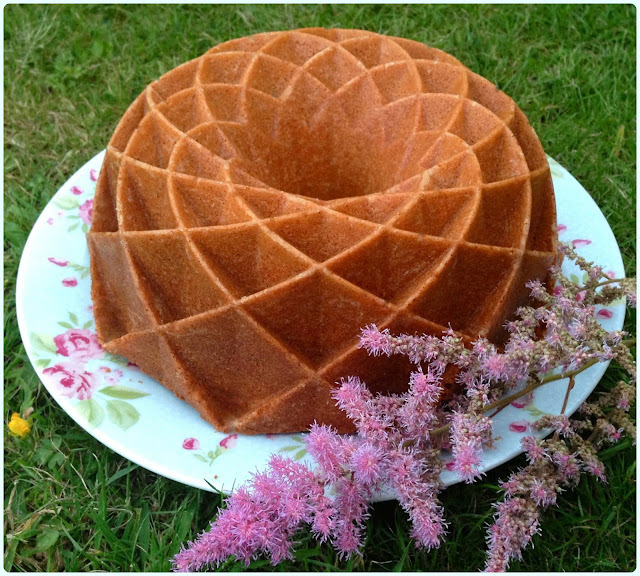 that is one glorious bundt tin and one beautiful combo for a cake.. gorgeous! Thanks folks, you're very kind! This is such a stunner Rachel, it looks quite magical. Although it would be a shame to spoil it, I'd love a slice as it sounds super scrumilicious. Stunning looking cake Rachel, almost cathedral like in appearance. What a gorgeous looking cake, and the flavour combo screams winnnnerrrr! 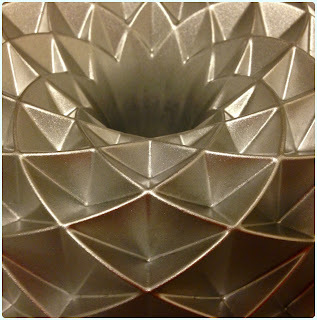 What a gorgeous cake tin, very architectural. Lovely summery flavours too. I jumped in the moment I saw your bundt cake, so gorgeous! Yum! mango and passionfruit are two of my fave flavours, what a tropical twist! That cake looks stunning, love how the tin gives the different views, hearts, diamonds & the Spirograph effect - off to have a look at some of your other stunning creations!